Using DPP digital pulse shaping technique. Using X light tube to excite all the elements to be detected. Adopted the world's most advanced electric refrigeration SDD semiconductor detector. Metallurgy, building materials, geology, commodity inspection, nonferrous metals. Analysis of various elements except carbon (C) of all types of cast iron, pig iron, all kinds of alloy steel and slag, ore, sinter, pellets, iron ore, iron ore.
Wuxi jinyibo Instrument technology co., ltd. is specialized in manufacturing instruments like photoelectric direct reading spectrometers, plasma emission spectrometers, infrared carbon and sulfur analyzers, a series of wet-process analyzers, etc. 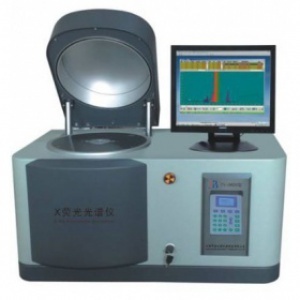 In particular, the photoelectric direct reading spectrometers and high-frequency infrared carbon and sulfur analyzers are in the leading position in China. Our products are widely applied to steel industry, metallurgy, foundry, etc.For the past few years, we have set up ten sales and service centers and more than 40 service outlets. Our products are widely used around China and have been sold to South America, Africa, West Asia, Vietnam, Taiwan area, Hong Kong, etc. Also we established five bases, namely Product R&D Center, Material Testing Center, Physical and Chemical Training Center, Product Display Center and Trade Settlement Center.